3.Actual capacity of 2GB: approximately 28.5-30GB. Friendly Design – Key shaped design, the thumb drive made of metal with pocket-size and key ring hole, allow you attach to your key chain or lanyards anytime. Offering you a special need of data transmission in your life. 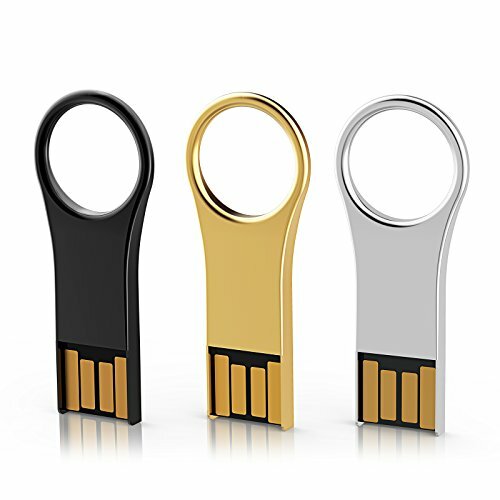 What You Get – 3 pack 32GB USB 2.0 Flash drive available in 3 different colors, 12-month warranty and friendly customer service.